Regular maintenance will ensure your feature remains looking as good as the day it was installed. We offer a service that will clean not only your pond, but pumps and filters as well to ensure a lifetime of enjoyment from your feature. The topical application of the correct chemicals can also ensure that your water quality is maintained, please call us on 07860780011 to discuss what chemicals could be appropriate for your eature. 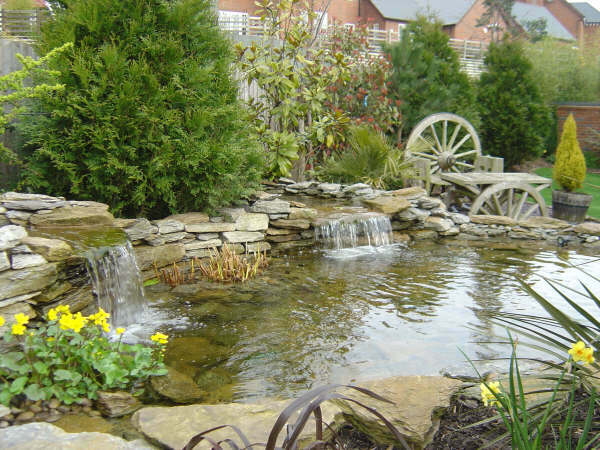 Ponds can be refurbished with the addition of waterfalls to add interest. Ponds can be re-lined to keep them at their best.